Overbites occur when a person’s upper teeth overlap their bottom teeth and are typically a result of an overdeveloped upper jaw or underdeveloped lower jaw. Overbites can be hereditary and can also be caused as a result of habits started at an early childhood age and require orthodontic treatment. These habits include thumb sucking or pacifier use and can cause problems with swallowing, eating, and speaking. Overbites are a type of condition which causes a person’s top teeth to completely overlap their bottom teeth. This can result in pain and discomfort among other things. 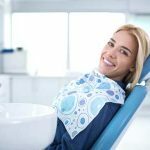 Luckily, there are certain procedures and treatments which can be completed to reduce or completely fix an overbite as long as it is caught early. 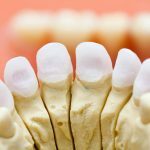 This is why, if you have children, it is extremely important to start an oral health routine early on in life to check and monitor to see if you think they may require overbite correction. There are different ways to treat overbites. If a child has an overbite, it is typically recommended that it be treated as soon as possible before the child’s jaw and bones stop developing. Some ways that overbites are treated include headgear, elastics or other appliances. If you are an adult and have an overbite, there are treatments like Invisalign that can be used to treat your overbite. Overbite braces can help move a person’s teeth into the correct position. Like regular braces, overbite braces are placed over a person’s teeth and slowly move the teeth over time. Eventually, the front teeth and the bottom teeth become aligned, fixing the overbite. Most overbites can be identified in children by the age of six years old and it is recommended that treatment for an overbite begin between the ages of eight and 14 while a child is still in the developmental stages. Most children wear overbite braces for one to three years depending on the severity of the overbite. It is important to fix an overbite right away because it can cause future oral health issues and make it hard to breathe, swallow, eat, or speak. Overbites can cause all sorts of oral health issues if left untreated. Oral health problems which can result from severe overbites include gum disease, tooth decay, jaw pain and joint problems, tooth enamel issues, tooth loss, and trouble speaking and chewing. Braces will also help realign a person’s overbite, giving them a healthy smile. If an overbite goes untreated, it could cause major problems in the future, resulting in possible permanent damage. If left untreated, overbites sometimes require surgery to fix, which can be extremely expensive. Metal braces (traditional braces) are made of stainless steel brackets which gradually help move teeth into place over a period of time. Traditional metal braces are made of stainless steel brackets which are held together by archwires. 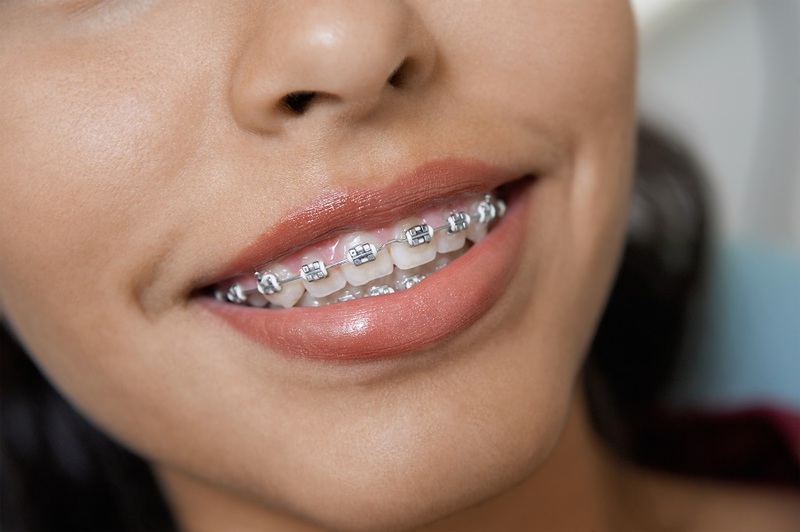 Metal braces are most commonly used to fix overbites as well as crooked and overcrowded teeth. Although they are typically used for children, sometimes they are used on adults too—although most adults prefer to use other forms of braces to eliminate or minimize the visibility of braces. Like metal braces, clear braces help move teeth into the correct position using brackets and archwires, but clear braces are transparent and are not as visible as metal braces. This makes them a better choice for adults who don’t particularly like the appearance of traditional metal braces. Lingual braces work like metal braces, except the brackets and wires on lingual braces are inserted on the insides and openings of teeth so that they are not visible to the naked eye. Although lingual braces are inserted behind the teeth instead of in front, they work the same way traditional braces do by applying pressure onto your teeth to shift them into the right position. 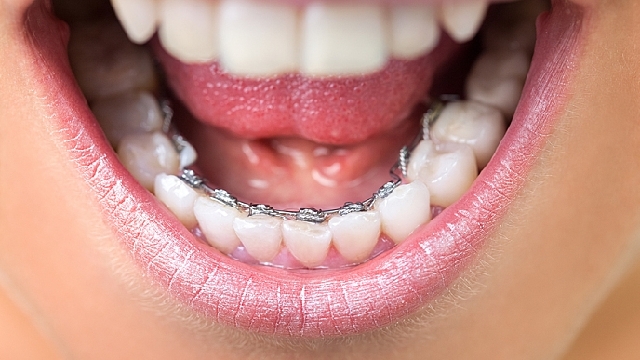 Like metal braces, lingual braces take roughly 18–36 months to shift teeth into place. 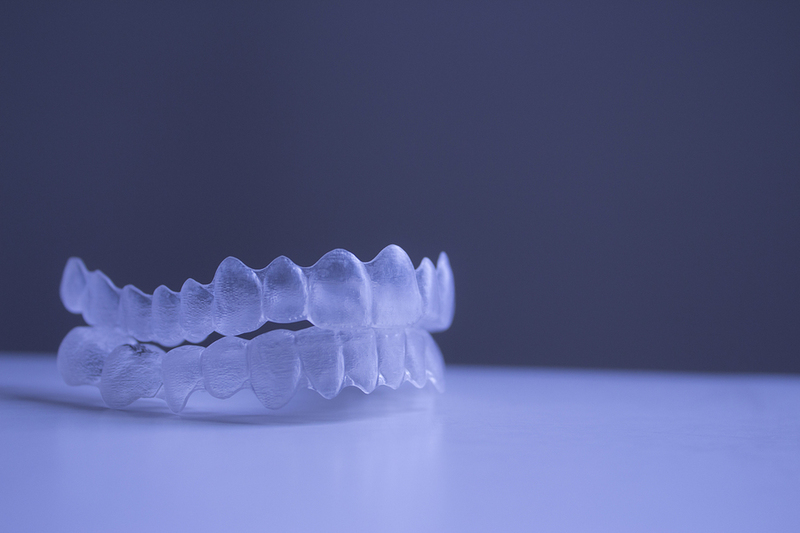 Invisalign is a clear, plastic retainer which is invisible. Invisalign is becoming a popular choice among adults because of this. With Invisalign, you also have the option of removing the retainer when you eat or brush your teeth, which makes it very convenient. If you are an adult, you might choose Invisalign because of its convenience and discreteness. 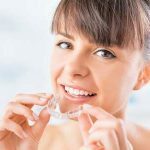 Invisalign is a great alternative because it straightens out and aligns your teeth without the unaesthetic appearance that traditional metal braces have. You can also eat whatever you want, whenever you want to with Invisalign, which is another reason it is an ideal choice for adults. Metal braces, on the other hand, can cause mouth sores, tooth and mouth discomfort, and possible tooth decay if you are not properly brushing and flossing. This is because it is very easy for food to become stuck in the wires of metal braces. There are also certain things that you shouldn’t eat when you have metal braces like nuts, popcorn, and other hard foods which can break your braces. The type of braces you will use depends on the severity of your overbite as well your own dental hygiene needs. After your orthodontist examines your teeth and your jaw position, they will determine the best route to take for treatment. 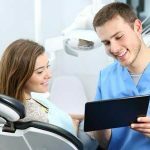 X-rays will be taken to get a better understanding of the alignment and positioning of your jaw and teeth, and your dentist or orthodontist will make a recommendation that is the best option for you. If you have a child who has an overbite, it is best that you get treatment for the overbite while your child is still young and his or her jaw is still developing. If you risk waiting until your child has stopped growing, you risk permanent damage that can result in lifelong pain and/or discomfort for your child. Overbite braces work similarly to regular braces and will help reposition an overbite or any misaligned teeth.